Gather some pinecones and make these little angel ornaments as a family project. 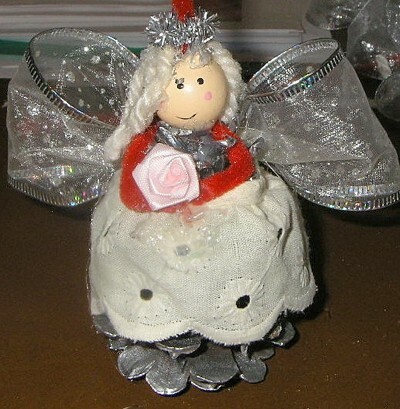 This is a guide about pinecone angel ornaments. 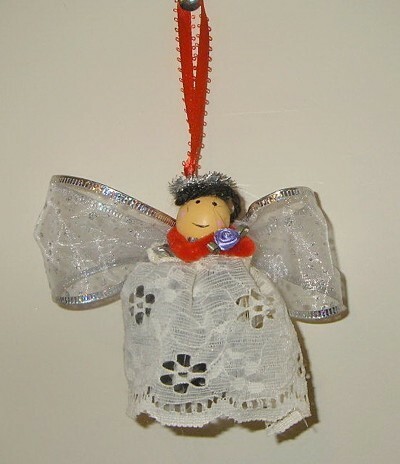 Adorn any tree with this darling angel ornament handmade and ready in minutes to spruce up your tree. *Paint pine cones first, if desired. Wrap a piece of lace around a pine cone. Glue at back to keep it on. Break away a few pieces of pine cone to set the head on. Glue and set the head in place. Make the hair using the yarn. Glue a halo on the angel head and also glue the ribbon in the center of the ornament to hang her by. Take the 3 inch wide ribbon and cut 6 inches off. Fold in half and secure with a piece of floral wire. Fluff the ribbon on both sides. 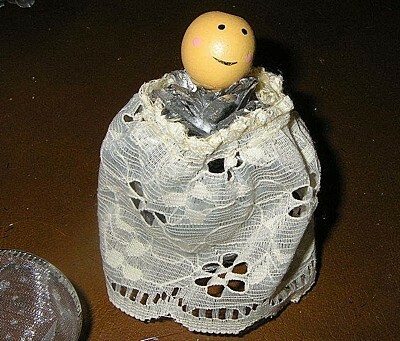 Glue this to the back of the angel. 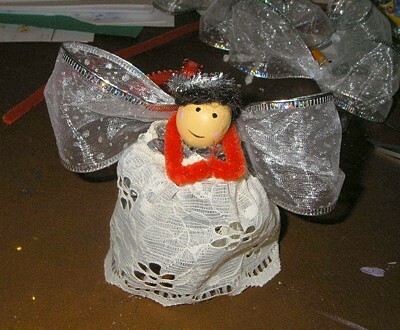 Take the red chenille stick and cut a 4 inch piece and add a bit of glue to the center of the back and attach to the angel head. Fold in at the ends a bit to form her hands. Glue in a small flower so it looks like she is holding it. 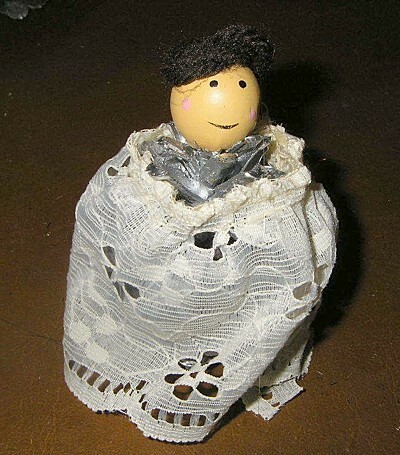 Hang her on your tree or make several more for a table decoration. 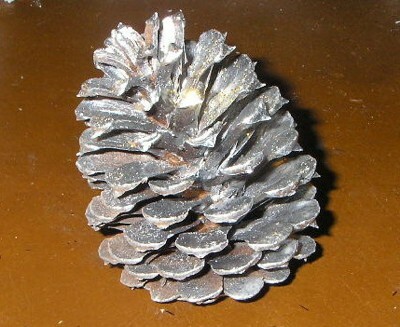 Tip: Pine cones that do not like to stand up can be fixed by removing a few pieces of the pine cone off the bottom.